The Fusion 100 (infuse only) and Fusion 200 have infuse and withdraw capabilities that allow pumps to achieve basic and multi-step flow profiles. For example, below are some common flow profiles and set-ups on Chemyx syringe pumps. 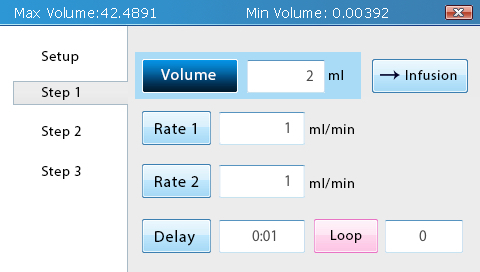 For the start/stop flow profile, the pump starts at a specific flow rate and infuses/withdraws a given volume. The pump stops when the total amount is infused/withdrawn. 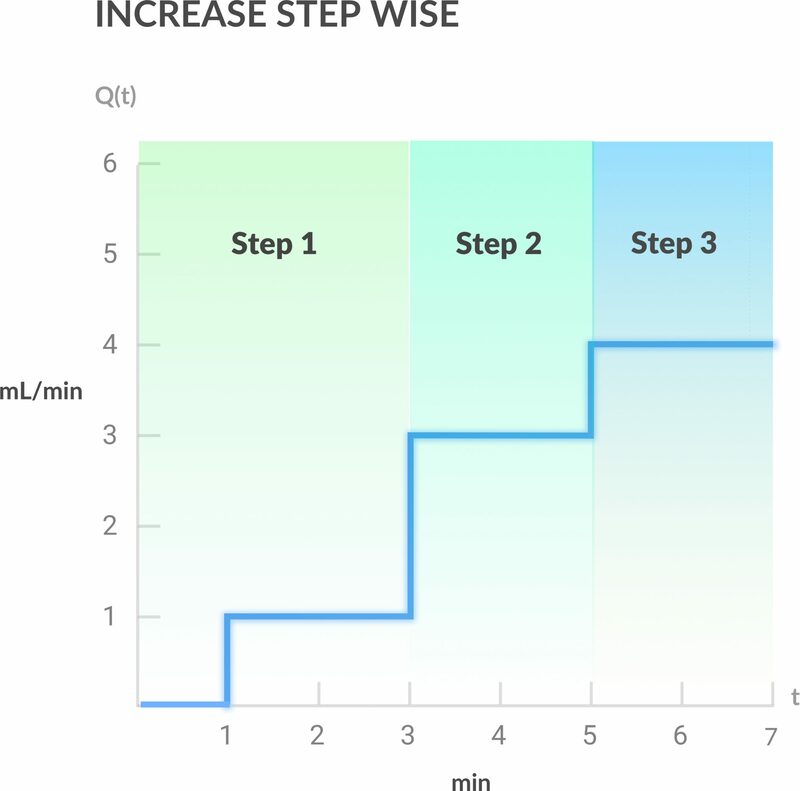 For the stepwise flow profile, the pump starts at a specific flow rate and stops after infusing/withdrawing the given amount. 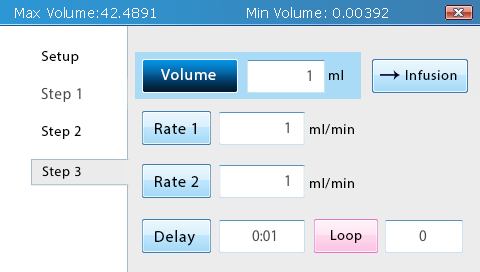 In this setup, you can also program a delay before each step and a loop to repeat the step. 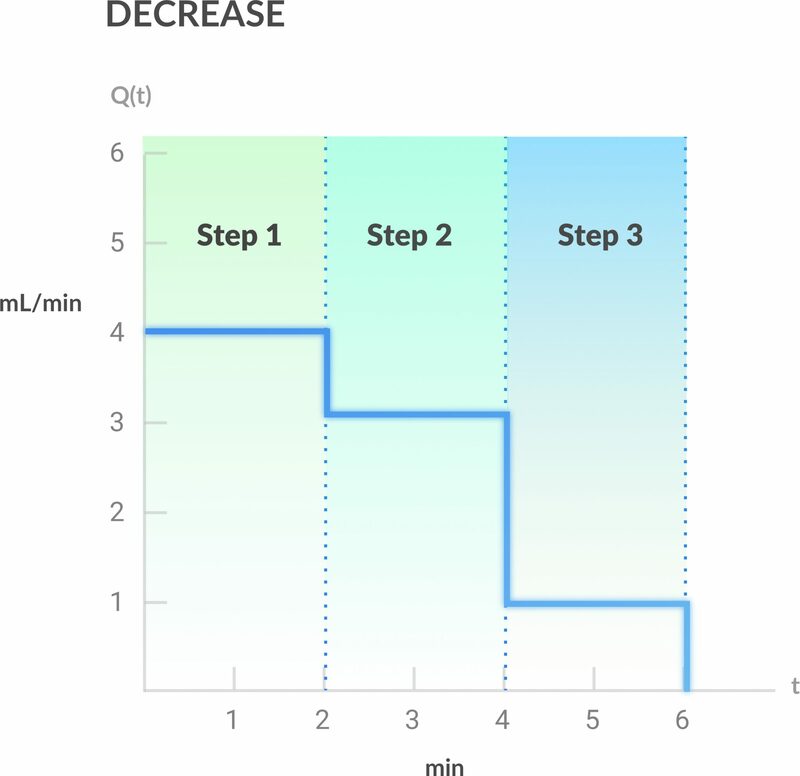 For the increase stepwise flow profile, the pump starts at a specific flow rate and increases in rate within each step, or from one step to the next. 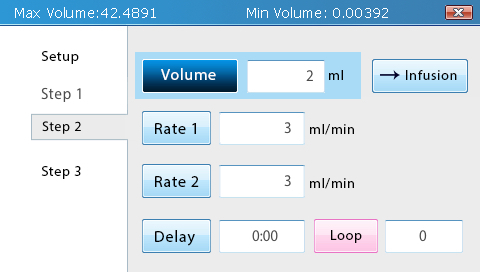 In this setup, you can also program a delay before each step and a loop to repeat the step. 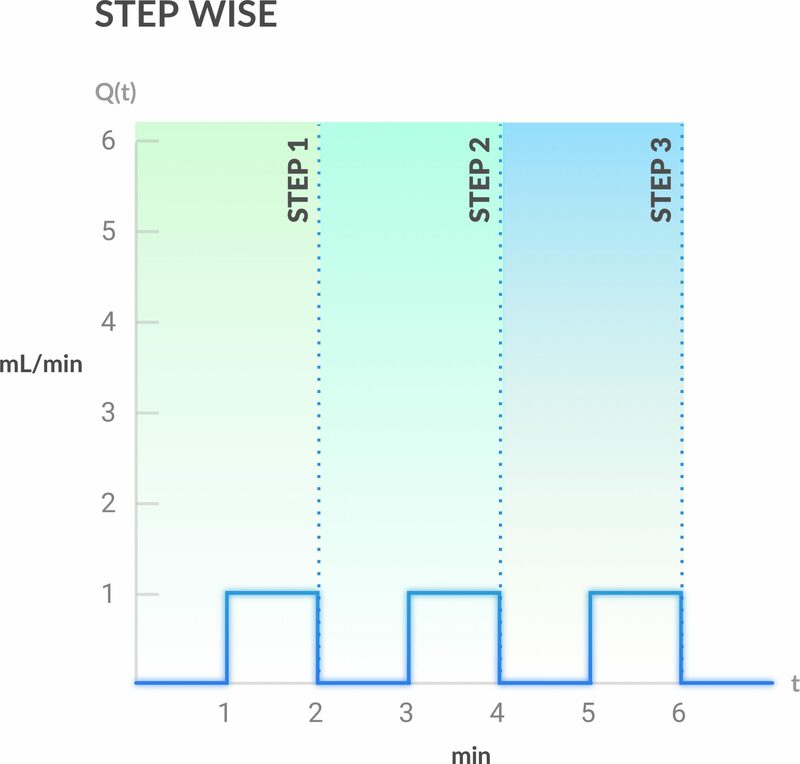 Finally, the decrease stepwise flow profile, similar to the ‘Increase Stepwise Flow’, starts at a high rate and decreases in rate within each step, or from one step to the next. 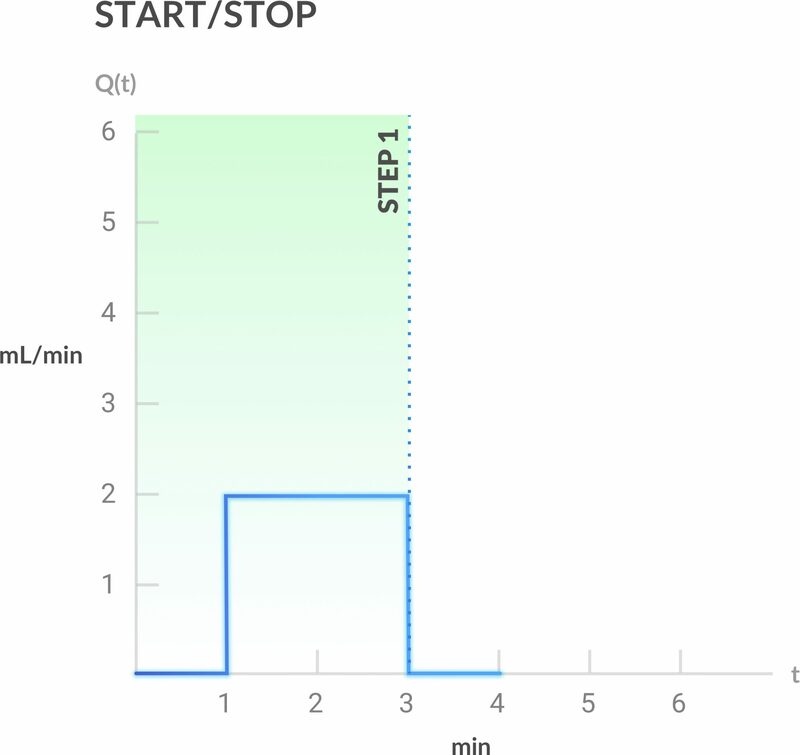 In this set up, you can also program a delay before each step and a loop to repeat the step.